There is a hemp health revolution underway that is transforming our world. The use of safe, natural and extremely effective Hemp Extract products are rescuing people from pain, stress, anxiety, epilepsy and even cancer. In fact, more than 40 health issues have improved by taking Hemp Extract. It is a sad fact that our pets now mirror their human's patterns of chronic illnesses. These days, our pets are also diagnosed with inflamed joints, anxiety, depression, epilepsy, and stress. Most disturbing of all, cancer is the leading cause of death in dogs. Fortunately, our furry friends have a natural option that can help them get healthy. Hemp Extract is working miracles for our pets' health. Instead of relying upon pharmaceutical drugs which are often toxic and expensive, Hemp Extract is proving to be an extremely effective and safe alternative. It has proven to reduce or totally alleviate many of the health issues that cause our pets much suffering. Nature is the source of the healing energy that allows us to align with health and vitality. Throughout time immemorial, Mother Nature has worked her healing magic through medicinal plants. Through the advancement of science, recent discoveries have unlocked the healing secret of one particular ancient medicinal plant, cannabis sativa. The hemp plant, cannabis sativa, has powerful healing, non-psychoactive constituents, known as cannabinoids or Hemp Extract. These constituents are capable of restoring balance and harmony throughout the entire body without any known side-effects. It is important to emphasize that when we talk about Hemp Extract, we are talking about the non-psychoactive component of the cannabis sativa plant, which is legal in all 50 states. This amazing plant is able to restore our body to inner balance, or homeostasis, through a newly discovered system called the Endocannabinoid System (ECS). The ECS deserves lots of attention and respect! This is because the ECS is considered the fundamental physiological system for creating and supporting optimal health. The ECS ensures that the communication between all the biological systems is working perfectly. Some of the processes that the ECS controls include: pain perception, gastrointestinal motility, memory, sleep, response to stress, anxiety, depression, bone repair, the growth of new brain cells, reduction of excessive inflammation, regulation of hormonal systems, fertility, protection from strokes and other neurodegenerative problems. All vertebrates contain an Endocannabinoid System. Therefore our pets—dogs, horses, cats, rabbits, mice, birds, reptiles, etc.,— all have an Endocannabinoid System! Since the ECS guides and protects all vital physiological processes by ensuring homeostasis, if our ECS is out-of-whack, the health of all the systems would be altered. Since Hemp Extract has been proven to support and optimize the functioning of the Endocannabinoid System, all of the benefits attributed to the use of Hemp Extract by humans are also the same for animals. Instead of relying on pharmaceutical medications with their long, list of side-effects (just like in humans), the use of Hemp Extract offers an effective, affordable and safe option. Hemp Extract has demonstrated success for a wide variety of animal's issues. Our pets are easily affected by stress and anxiety. It may be due to previous abuse or trauma. Anxiety and stress often occur from loud noises such as a thunderclap or fireworks. It can send dogs and cats into such distress that they are terrified for hours. Perhaps they have separation or abandonment anxiety when left alone. Or, it could just be the animal's nature. Whatever the cause, Hemp Extract can come to the rescue. Hemp Extract would be a natural solution for this reaction. When an anxiety-inducing situation is about to occur such as a thunderstorm, give them a dose of Hemp Extract. This will help them to chill and show decreased signs of nervousness and agitation. as a treatment for dog anxiety has produced amazing results. Anecdotes abound of dogs that have suffered from so much chronic anxiety that they have never integrated properly into their human family but were able to have dramatic turnarounds when treated with Hemp Extract. Hemp Extract can be a huge help in overcoming nausea, vomiting or a sensitive stomach. For instance, cats that are having a hard time adjusting to a new food or who have a weak stomach can benefit from some Hemp Extract. Since cats can be notoriously fickle with their food and may avoid it if it smells different than normal, you may want to introduce the Hemp Extract implement slowly over a period of time. Hip and joint pain is a common challenge for older dogs. This is particularly true for breeds that are especially prone to certain painful diseases such as herniated discs, hip inflammation, arthritis, and intervertebral disc disease. It goes without saying that pain will limit a dog's mobility and quality of life. Of course, cats, too, often deal with painful conditions, as they get older. In fact, most animals, large or small, will be vulnerable to pain with age. Racing horses often retire with severe injuries at a young age. Chronic pain can significantly shorten a horse's lifespan by forcing them to favor one leg at the expense of others. Hemp Extract can be used both topically and orally to help reduce inflammation and accelerate healing of painful joints. Hemp Extract is a powerful anti-inflammatory that can quickly reduce pain and improve the ability to be more active. Unlike prescribed medications, Hemp Extract is totally safe and fast-acting for reducing any kind of pain and arthritis. Another wonderful benefit of Hemp Extract is its ability to address the problem of an allergic reaction. Allergies may cause a variety of reactions, which include skin issues such as dermatitis, mange and alopecia. Just like in humans, pets experience an allergic reaction when their immune system views a substance (like pollen, chemicals or insect saliva) as a threat and increases the production of histamines in the body's systems. Animals show itching either by chewing or licking their skin or scratching. Commonly affected are the cheeks, belly, feet, the armpit region and ears. Hemp Extract will calm an overactive immune system that contributes to allergic reactions. 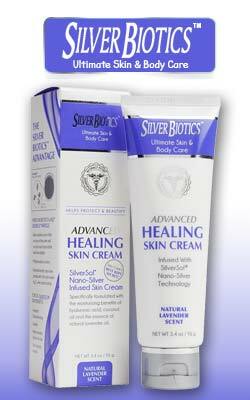 It will help to reduce itching and skin irritations. Hemp Extract has been found to have an anti-tumor effect. It has even been shown to stop cancer cells from growing and increased tumor cell death. Some more progressive veterinarians are now including Hemp Extract in their protocols for their patients. Australian veterinarian, Edward Bassingthwaighte, discovered how Hemp Extract could be a critical part of his holistic veterinary practice. One of his patients was a senior Staffordshire terrier who had a 6cm mammary tumor and metastasis that disappeared in three months. The good news was that it never came back. Hemp Extract can contribute to a dignified final phase of life for your pet. It will help to create a calm, peaceful emotional state while reducing pain. It's estimated that up to five percent of dogs suffer from seizures. Most dogs with seizures are put on drugs such as phenobarbital and potassium bromide. While they may help control the seizures, they can be extremely harmful to the dog's liver and other organs. And the drugs don't work in all cases. Hemp Extract has proven to be another safe and effective alternative treatment for this condition. Just like their human companions, pets can benefit from Hemp Extract's ability to improve the endocannabinoid tone. It will support optimal health and enhance the body‘s ability to repair and regenerate at any age. Your pet deserves a natural antiaging program, too! There are many ways to administer Hemp Extract to animals. It can be added to their food, mixed in with their favorite treats or directly into their mouths. If you have a picky pet, then introduce it slowly in smaller doses with their food or with their treats. There are no known side effects from taking Hemp Extract. It is advised to begin slowly with a lower dose and, if there are no indications of improvement, then begin to increase the dose. Changes usually occur within 30 minutes. If there is no change after an hour, increase the dosage. Occasionally improvements will take more than one treatment. To control pain, give approximately every eight hours. For other uses, or to break unwanted behavior patterns, give once or twice a day. The dose depends on the size of the animal as well as the severity of the symptoms. Some animals respond with a small amount and others require a larger dose. As with humans, you will need to experiment to find the appropriate amount to successfully resolve the issue or alleviate the discomfort of your pet. Remember you cannot overdose and there is no toxicity associated with Hemp Extracts. Hemps Extracts can be given from a dropper bottle directly into the mouth, added to food, dropped on a treat or dropped on an animal's paw so they will lick it off. Topical Hemp Extract formulations can be rubbed into bare skin or inside the ears. You can find Hemp Extract biscuits, hemp capsules, gel caps, and topical hemp ointments. My recommendation is to find a product that is organically grown, processed without solvents or alcohol and uses the most effective delivery system such as a liposomal delivery system. One of my favorite organic, third party verified, liposomal Hemp Extract products is called Optihemp and is available from https://optividahealth.com. As exciting as Hemp Extract is for restoring health in the human realm, it is equally exciting to know that it can help our beloved pet companions to also regain their health. Mother Nature does it again!